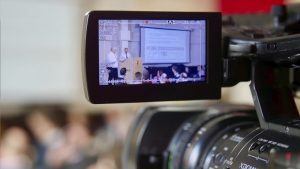 Our online live video streaming service helps businesses expand the reach of their events and training seminars, as well as generate additional income through content monetisation, without the added costs involved with scaling their event, such as hiring larger venues or ordering more catering. 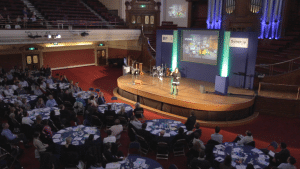 With live video streaming you remove the need for your delegates to physically attend to watch the sessions, allowing your event to be accessed by people all over the world and potentially turning an audience who couldn’t attend into paying customers by offering paid access to the live stream. Want to find out how live streaming can benefit your next event? Contact us for a free consultation. Live streaming your events allows you to reach a global audience, letting people all over the world watch, engage and interact with your content in real time. By providing a live stream of your event, those who would previously be missing out are able to benefit without having to leave their office, home or wherever else they may be. Live streaming allows your delegates to tune in ad-hoc for the sessions that interest them, letting them get back to work or play without spending hours away from the things that matter to them. From an event organiser’s perspective, providing a live stream behind a paywall allows you to generate revenue from these viewers, which could be equal to what those delegates would pay to attend in person. For commercial events with ticket fees, a live stream can provide an additional way to generate income. By monetising the broadcast through advertising or by using a paywall, such as Vimsy, we can help you turn the people who wouldn’t otherwise attend your event into paying customers. Our live streaming equipment allows us to broadcast your event in realtime to online services such as YouTube, Facebook, Twitch, and other popular streaming services. 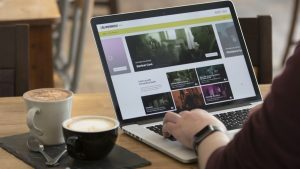 Many of these services provide the ability to embed the live stream on your website or within other platforms, like Vimsy, which opens up the option for monetising your stream. All we need on the day is a space to set up our equipment, such as a table, a wired internet connection with a minimum of 2Mbps upload speed, and ideally an audio feed from the venue’s sound desk. The rest will be provided by our team. 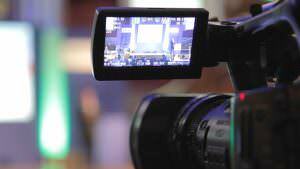 We’ve had the pleasure of working on a variety of live streaming and outside broadcast projects. From streaming lectures at major project management conferences, to providing camera crews at large outdoor music festivals, we know what it takes to produce live video content. Our technical knowledge of live streaming combined with our creative knowledge of video production and video marketing allows us to produce a live stream that’s high quality, enjoyable to watch, and most importantly, achieves your goals. Learn more about how we work with businesses to achieve goals with video. Video doesn’t have to be a challenge. Forward-thinking businesses can use video in all sorts of innovative ways, including giving customers a taste of their product, providing useful support information to existing customers, or creating stunning promotional videos that can be shared online, played at business exhibitions and shown during presentations.